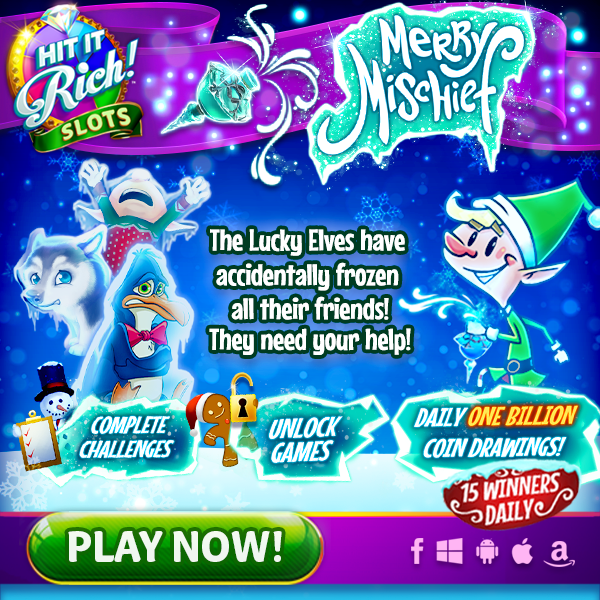 The Lucky Elves got into Santa’s Christmas Magic and have accidentally frozen their holiday friends! Complete challenges to melt away the ice and return their friends to normal. Every day you complete your challenges will qualify you for a drawing to earn ONE BILLION COINS! Start spinning through that ice now!